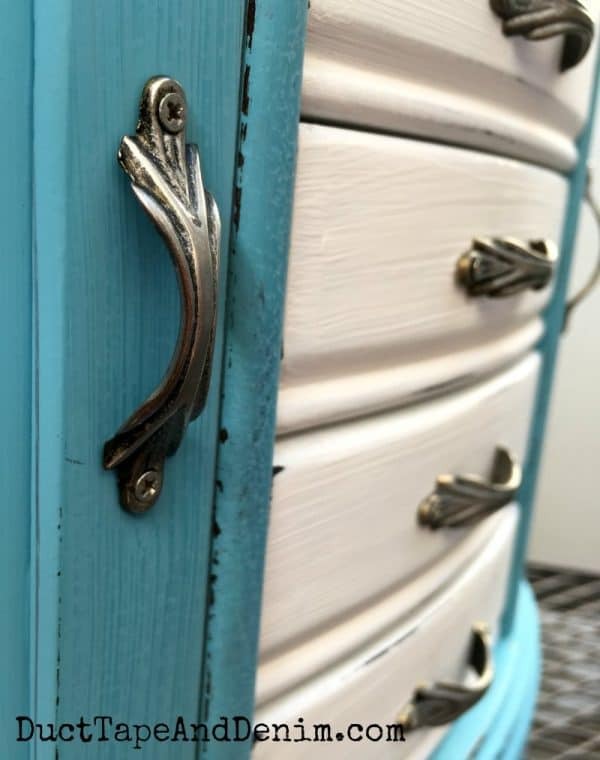 Jewelry cabinet makeovers are my very favorite thrift store DIY project. You can tell from how many I’ve shared over the last 12 years! 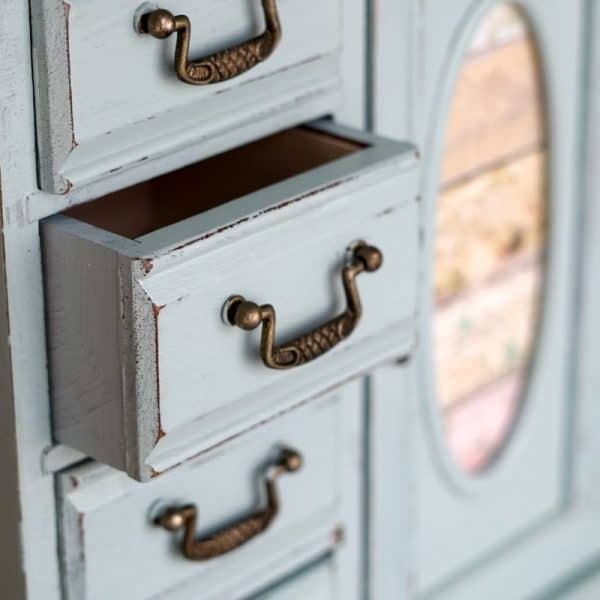 Today I thought I’d share my 10 favorite jewelry cabinet makeovers. Leave a comment and let me know which one is YOUR favorite! 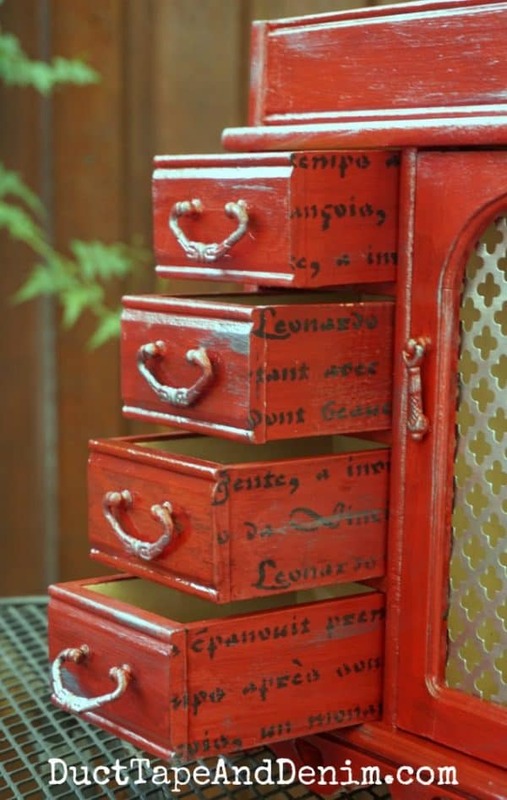 I’ll start with number 10 and work my way up to my very favorite thrift store jewelry cabinet makeover for this year. Sometimes simple white is the best choice! 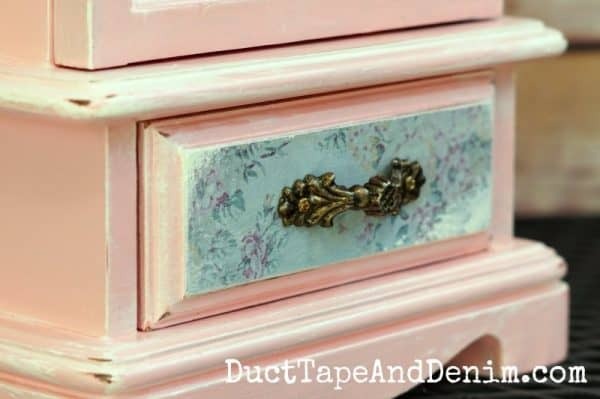 Y’all know I’m not really a pink kinda girl… but I love the way the blue floral scrapbook paper accented this pink jewelry cabinet makeover. This was the year of two-tone jewelry cabinets! Turquoise and white was my favorite color combo… of course! Here’s another two-toned makeover. This time with gray. This was a surprise. At one point during the makeover I hated this color. But when it was all finished it turned out to be one of my favorites! This was the largest jewelry cabinet I’ve ever found at a thrift store. It needed a little work but it turned out beautiful! I tried using up my scrapbook paper stash this year, too. Still have a LOT left!!! And… we’re back to turquoise for the top two makeovers. Yeah… I still love turquoise! I usually prefer the jewelry cabinets with glass doors. 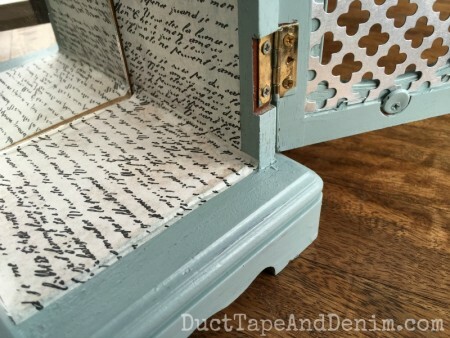 But this simple one turned out amazing and is this year’s #1 jewelry cabinet makeover! 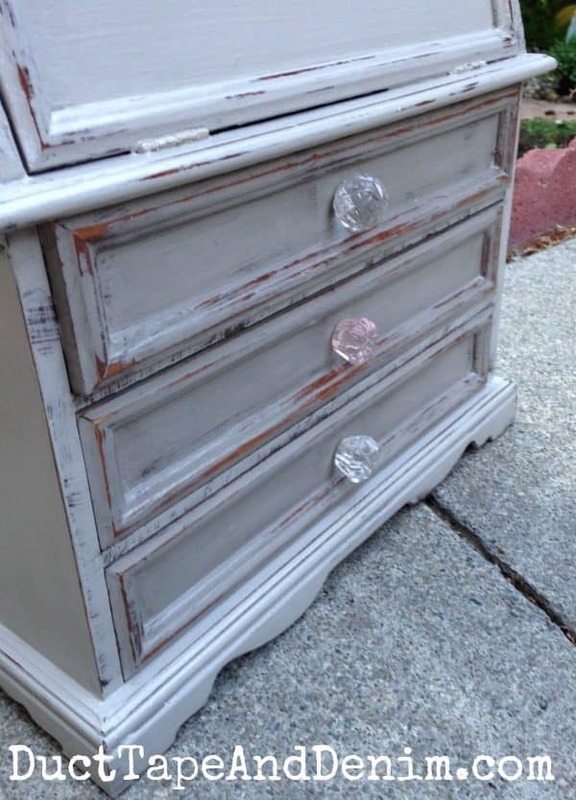 For more painting tips and project ideas follow my painting board onPinterest. 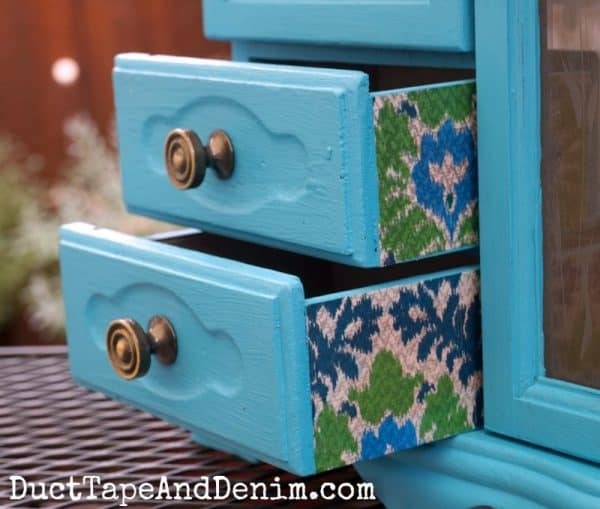 Follow Ann @ Duct Tape and Denim’s board DIY | Painting Jewelry Cabinets & Other Found Items on Pinterest. Thanks for reading! 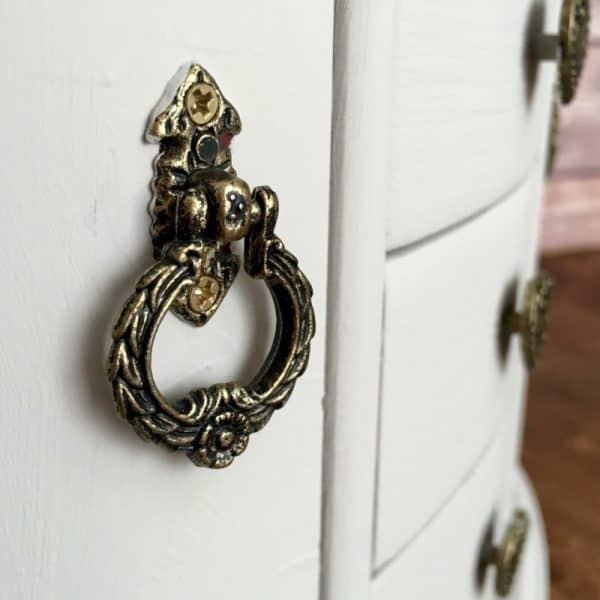 Don’t forget to leave a comment and let me know which jewelry cabinet is YOUR favorite! First published December 28, 2015. 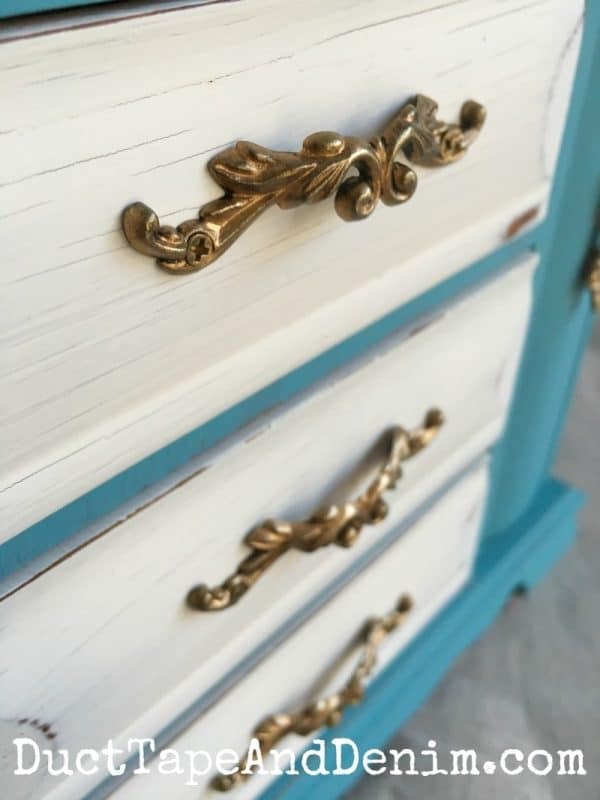 These are some amazing jewelry cabinet makeovers. You should do mines, they’re in need of fixing also lol. How long have you been doing this type of stuff for? 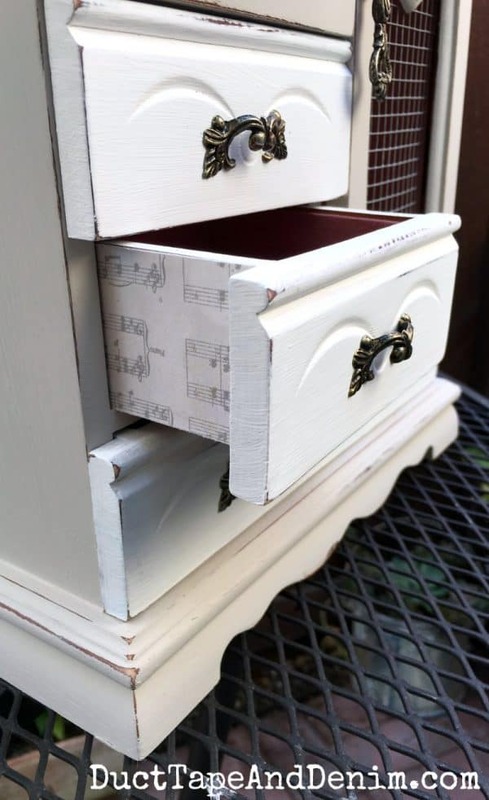 Thanks, David, I’ve been painting old jewelry cabinets for about 7 years now. I never get tired of them! What do you do with them once they are painted and finished? I sell them on Etsy and local vintage markets. OMG guys thank you I buy these things every year for my granddaughters .fill them up with jewelery.these ate so cute . Your ideas and creativity is refreshing. Thanks for sharing.